Hello everybody. Thanks for everything. 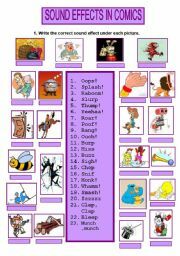 This is a worksheet on onomatopoeias in comics. It´s part of a unit I´m making about comics. I´m quite busy lately so I don´t know when I will be able to send the rest. After doing the exercises it´s fun to dramatize the sounds. Hope you like it. 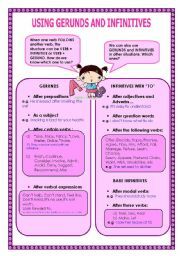 4 pages about the use of gerunds and infinitives. Grammar focused.Rules in 1st and 3rd page. Exercises on page 2 and 4. Hope you find it useful you. Maybe it´s too pink, now I see it on the preview...I´ve used pictures fom "lushpix" and some sentences from " English grammar in use". Students practise the different uses of these two tenses. Hope you find it useful. 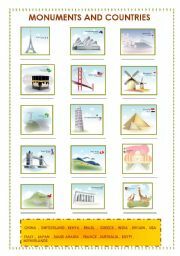 Past Simple Picture dictation: my awesome holiday! 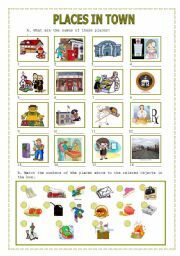 It´s a picture dictation to practise the past tense using the four skills. Instructions on the third page. It´s fully editable, so you can change the layout and leave the text and questions on one side and the pictures on the other. If not, your students will have to cover the text while they listen to it. hope you find it useful. Improved version of an old ws of mine. 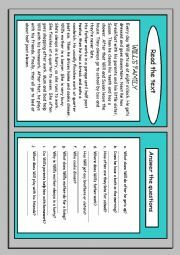 2 pages with exercises to practise Dictionary Use ( the last exercise is for Spanish speakers, but you can adapt it ).It was very useful for my students. 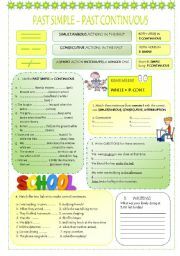 I made the worksheet 3 years ago and I keep on using it.Hope you like it. 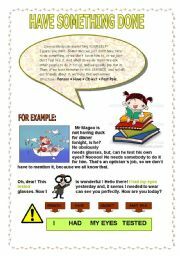 You can do the picture dictation first (second page) as a listening activity. You read the text aloud and students number the pictures in the correct order. Then they read the text and answer the questions. Teacher´s notes and key provided. I´ve used a template by golight. Thanks. 2 pages about the "causative have". I´ve written an introduction to the topic in the first one and an exercise in the second page. 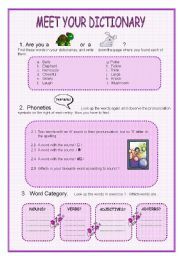 There are some situations and you have to write sentences about these situations using the new structure. 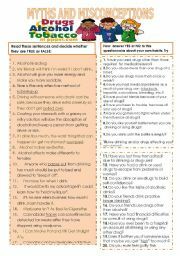 Hope you like it and find it useful. 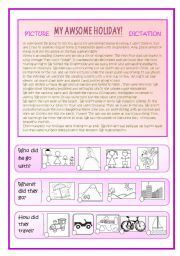 I´ve done this ppt, which is nearly the same as a worksheet I uploaded weeks ago, because when you photocopy the ws, the quality of the images is very bad. Hope this way you can make the most of it.Hope it´s better now.